Manish Sisodia said since the Aam Aadmi Party government was formed, doing business has been "easier" in the city with introduction of several initiatives including online industry licence and eradication of "inspector-raj". New Delhi: The AAP Government on Wednesday claimed that the steps taken by it in Delhi have played a "vital role" in improving India's ranking on the World Bank's 'ease of doing business' index. Deputy Chief Minister Manish Sisodia also took a jibe at the Centre, asking it "not to hamper" his government's works for one year on an "experimental basis" which will result in improvement of India's ranking worldwide in other sectors like education and health. "It is a proud moment for us that country has improved 30 ranks to 100th in 'ease of doing business' in World Bank's report. Delhi has played a vital role in this," he told reporters. Mr Sisodia said since the Aam Aadmi Party government was formed, doing business has been "easier" in the city with introduction of several initiatives including online industry licence and eradication of "inspector-raj". "In the last two years, doing business has been easier in Delhi. Getting an industry licence has been simple with online facility. Applicants can get the licence within a day," Mr Sisodia, who also holds the finance portfolio, said. The deputy chief minister said the AAP government has introduced a single-window system in several sectors, adding that earlier tourism department's inspectors used to make a visit for restaurant licence which has been ended. "If the Delhi government works, there is eradication of inspector-raj, progress in business...If Delhi government works, you (Centre) get the credit and the name of the country is shines," he said. Mr Sisodia also asked the Centre not to "waste the time" of the ED and the CBI "for unwarranted works". "There are several areas where these agencies should do work. Don't trouble officers again and again. If they (Centre) allow us to work, the credit of the good work by Delhi in health, education will go to them (the Centre)," he said. 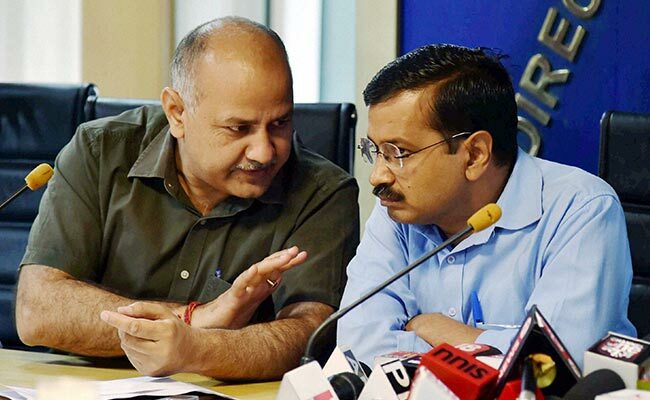 The Arvind Kejriwal government and the Centre have been at loggerheads on a range of issues including transfer and posting of officers and city administration's proposals. In the past, Mr Kejriwal has also attacked Prime Minister Narendra Modi and accused the BJP-led government at the centre of creating "hurdles" in the works of AAP government.